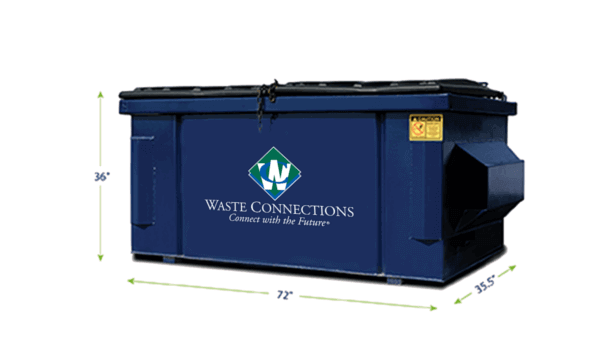 Commercial Dumpster Service in the Austin area. 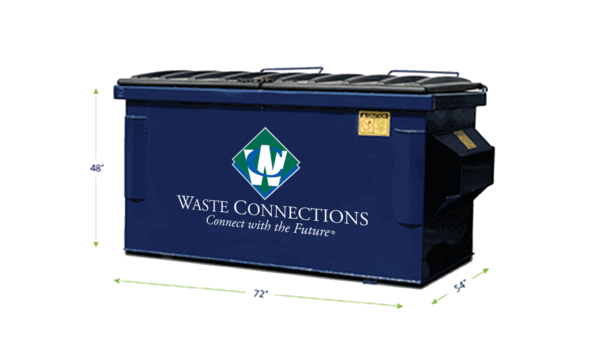 Our Front End Load commercial waste containers come in a variety of shapes and sizes. 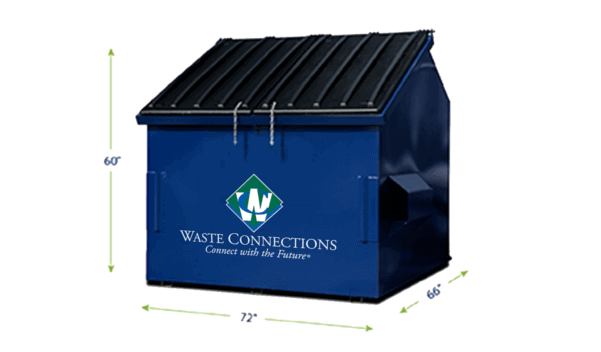 Available in both flat top and slant top styles, please consult the dimensions and enclosure requirements below to ensure you have the space necessary to accommodate a sturdy steel Waste Connections container. If you need help choosing, please contact us and ask to speak with one of our skilled commercial garbage collection experts to better assess your waste disposal needs. 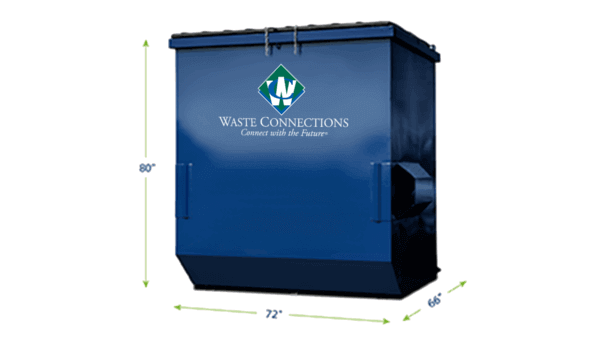 Casters and locking devices are also available to help make your commercial waste containers more manageable and secure. PAD – Minimum inside dimensions are 12’ wide and 12’ deep. Concrete must be 3000 p.s.i., steel-reinforced and 6” thick. Top of pad must be at ground level with a concrete apron at least 4’ long. GATE OPENING – Recommended minimum is 12’ hinge to hinge. Gates must open 180˚ (Hinges should be on outside of wall). To prevent the wind from causing damage during service, a gate stop should be located 135˚ from closed position.